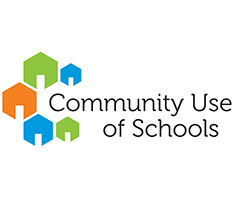 Secondary school students are required to complete 40 hours of community involvement throughout their high school years as part of the secondary school diploma requirements. Hours may be completed in small amounts each year, or in larger amounts in selected activities over a shorter period of time. Students may begin to accumulate community involvement hours beginning in July of their Grade 9 year. 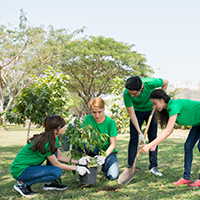 The community involvement requirement is designed to encourage students to develop awareness and understanding of civic responsibility and the role they can play in supporting and strengthening their communities. Support is available for finding appropriate community involvement opportunities. Students must provide the required documentation of eligible hours. community agencies/service clubs, volunteer opportunities which would be appropriate to student volunteers assisting in: fund raising, community event organization, environmental projects, sports coaching, scouting, guiding, friendly visits: eg. community services, local food banks, United Way, 4-H Clubs, Meals on Wheels, hospitals, etc. The Ministry has developed a list of activities that may not be chosen as community involvement activities. Activities which are normally classroom or credit requirements are disallowed and all activities completed must be unpaid. Activities may not take place during class instructional time; however, an activity that takes place during lunch, a spare, or during non-instructional time is eligible. 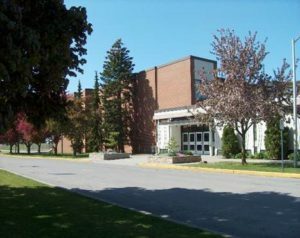 Activities completed in the summer are eligible as long as the student has entered grade nine and has completed the notification of planned activities form. Please note: Duties normally performed in the student’s home and those which are court ordered are also ineligible. 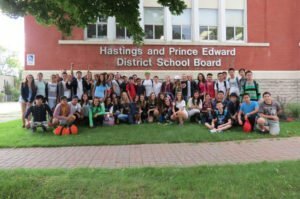 Summer School is a Continuing Education Program offered by Hastings and Prince Edward District School Board. Students have the opportunity to earn credits or improve marks in courses for Grades 9-12. All summer courses are delivered online during the month of July. Students must contact their home school guidance teacher for approval prior to registering. Quinte Adult Education programs are available to adults who are 18+ yrs and not enrolled in any other full-time program. We offer several ways to obtain high school credits and upgrade your skills. Our main location is in Belleville, Ontario with branch offices in Madoc and Trenton. Students who have been registered in an Ontario secondary school are entitled to complete their diploma requirements under the system in which they started. Students registered prior to 1983 need 13 compulsories and a total of 27 credits. Students registered from 1983 to 1998 need 16 compulsories and a total of 30 credits. Students registered from 1999 to present need 18 compulsories and a total of 30 credits, including an English from each grade level plus 1 Grade 11 or higher Math. Tuesday and Wednesday: 10:00 a.m. – 6:30 p.m.
Monday to Thursday: 8:00 a.m. -1:00 p.m.
Tuesdays: 4:00 p.m. – 6:30 p.m.
Every other Wednesday: 2:30 – 4:30 p.m.
Every other Wednesday: 3:00 – 6:00 p.m.
Education Centre, 156 Ann Street – For more information call 613-966-1170 extension 62415. 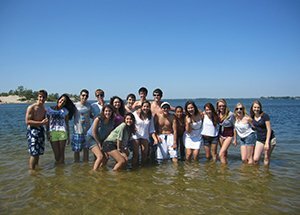 We welcome approximately 120 students to our schools each year from as many as 15 different countries. This provides our students an opportunity to learn about and develop an appreciation of other cultures. International students participate in a full range of courses and extra-curricular activities. Supports for students include tutorials, planned social activities, English as a Second Language courses, university preparation and regular visits from our homestay coordinators. 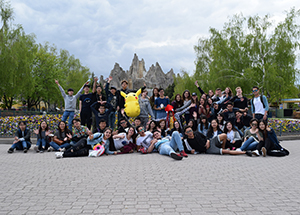 Our International Student Program offers qualified students, from Grades 7-12 the opportunity to study in Canada in a small beautiful city in southeastern Ontario. Students may begin their program either in February or September and study for a short period of five months, one year or until the completion of secondary school. 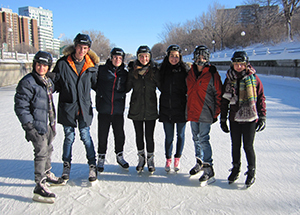 The purpose of the International Student Program is to provide Canadian students, teachers and the community an opportunity to experience a diverse environment in which to learn about and develop an appreciation of other cultures. 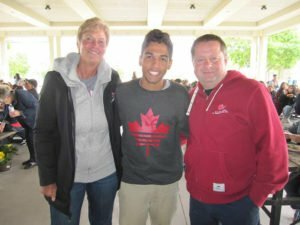 Hosting international students allows local families an opportunity for this unique experience. The City of Belleville, known as “The Friendly City,” has been identified as one of the best areas in Canada to live. At the centre of a growing region, we are the largest community in Hastings County. 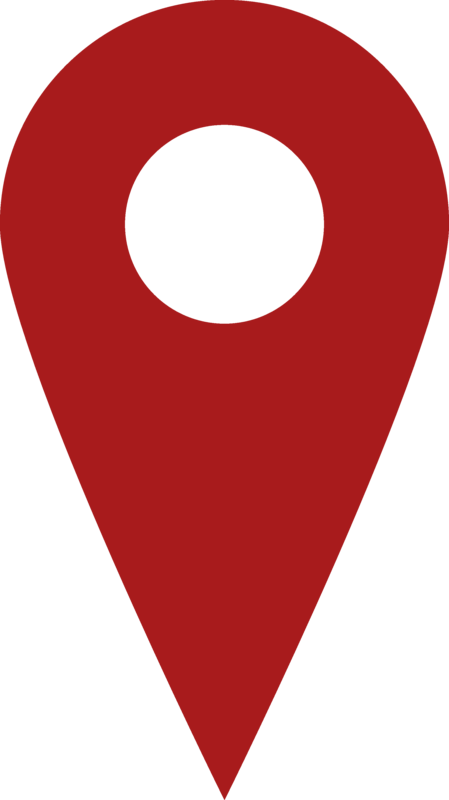 We are located between Toronto and Montreal bordering Highway 401, and alongside the Bay of Quinte. International students at HPEDSB can experience excellence in the Arts, Athletics and Academics while being immersed in Canadian culture. We invite students from around the world to study with us. 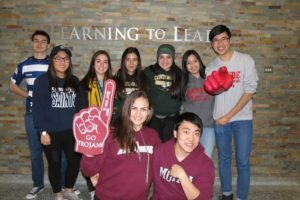 Our International Student Program offers qualified students, from Grades 7-12 the opportunity to study in Canada in a small beautiful city in southeastern Ontario. Students may begin their program either in February or September and study for a short period of five months, one year or until the completion of secondary school. 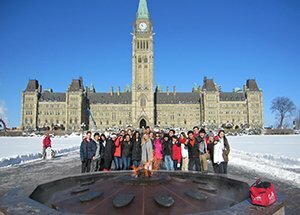 The International Student Program (ISP) core purpose is to provide a positive educational and cultural experience for international students and offer an opportunity for our Canadian students, teachers and local community to experience a diverse environment in which to learn about and develop an appreciation of other cultures. 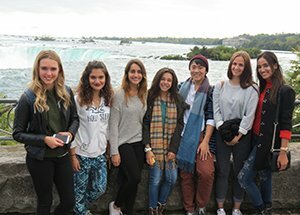 To further enhance the international student’s cultural experience the ISP program offers a full range of extra activities including planned monthly events, with trips to Niagara Falls, Toronto, Montreal and Ottawa. The ISP program offers an enhanced support system for students by providing English as Second Language courses, free after school tutoring program, university preparation, TOEFL tutorials and weekly school visits to students to ensure a rewarding Canadian experience. Students will experience a world class education in Ontario. To learn more about excellence in education please click the following link https://www.youtube.com/watch?v=f2Xw_Dlf4E8 In addition to Ministry of Education Curriculum, HPEDSB offers the International Baccalaureate Program, AP (Advanced Placement) and French Immersion along with a wide range of programs guaranteed to assist students as they plan for their future. Everything from Theatre, Music, Environmental Studies, Technology, Business, Physical Education, Cooperative & , Outdoor Education and Fashion Design can assist young people to determine their destinies. Join us at HPEDSB where our excellent programs and support assist students to thrive academically, become global citizens and prepare for the Possibilities of Today & Tomorrow. Interested in applying? It’s easy! Just follow the easy steps outlined below. Step 1: Please complete and return the ISP Program Application Form along with the Homestay Application Form. You can send it by fax, mail or email. Step 2: Preliminary acceptance will be based on academic records and the student’s knowledge of English. Step 3: Upon academic acceptance, an invoice will be sent to the student; payment is due before an official Letter of Acceptance and Custodianship Documents are issued. Step 5: The ISP staff will register the student and school and confirm their course selections. It is recommended that students arrive one week prior to the first day of classes in order to attend our orientation session. Tuition is $12,600CAD and is to be paid after preliminary acceptance. Tuition fees include medical insurance and custodianship. Homestay program fees are $800CAD per month. The first five months of the Homestay fees plus the Homestay Program Placement Fee of $250CAD are due with the tuition payment. The remaining $4,000CAD is due by December 15th. There is also a one-time Administration Fee of $250CAD for new applications. Payment can be made by direct deposit, certified cheque, bank draft, money order, or wire transfer. Please contact the ISP office for payment instructions. If Canada Immigration does not approve a student, a full refund of tuition fees, minus a $250CAD administration fee and the Homestay Program Placement Fee of $250CAD, if applicable, will be granted upon written proof from Immigration of such refusal. After a Study Permit has been granted, no refund of paid tuition fees will be made if the student withdraws. No refund of paid tuition fees will be granted if the student is found in violation of school and/or program rules and regulations and asked to withdraw from the ISP Program. 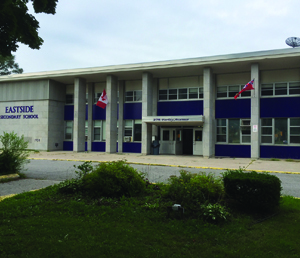 Hastings and Prince Edward District School Board serves approximately 15,100 students each day at 35 elementary and 8 secondary schools. Supporting student achievement and well-being is the goal of approximately 1,800 teaching and support staff who, in addition to the contributions of caring volunteers and community partners, share their passion for teaching and learning. Our Vision is for all students to be prepared and empowered for the possibilities of today and tomorrow. Our Mission is to create dynamic inclusive educational experiences that develop capable confident learners, who thrive and contribute to their communities. Currently, four secondary schools host international students, each offering ESL credit courses and academic support. To provide a quality program for all, limits are placed on the maximum number of international students accepted to each school, and the number of students from each country are balanced. Our schools offer diverse and innovative programming in welcoming, inclusive learning environments. All schools offer modern computer and science labs, libraries complete with internet resource tools, indoor and outdoor athletic facilities. Courses of study include all core academic subjects with specialized programs including arts, technology, business and cooperative education. Some specialized programs include Advanced Placement (AP), International Baccalaureate (IB), French Immersion, Specialist High Skills Major and Cooperative Education. Secondary school students may begin studies in September or February. The homestay environment is a critical part of the international student’s experience. The International Student Program is proud to operate their own homestay program. Our homestay coordinators take great care to place international students with families that best match the needs of the student. Host families provide a warm and welcoming environment, where students are integrated into the family events and activities. 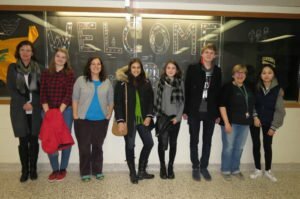 The homestay environment also provides an excellent opportunity for developing English language skills and participating in Canadian culture. 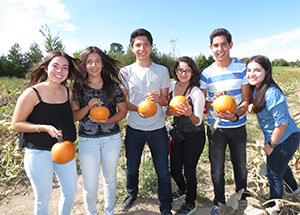 The ISP program strongly believes in a positive cross cultural experience for both students and host families. The ISP provides ongoing communication and support for our valued host families. To further support international students in having a successful educational experience, our homestay coordinators visit the students weekly at their school. Interested in Becoming a Homestay Family? Before joining our program, interested families must first attend an information session. Once a family decides to join the program, each host family participates in an in-home interview, an orientation session, and undergoes a criminal background and vunerable sector and reference check. 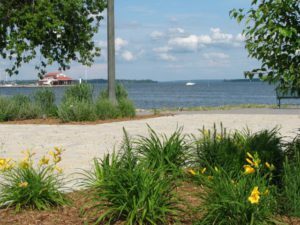 Our community is situated on the beautiful Bay of Quinte, and is centrally located with easy access to Toronto, Montreal and Ottawa. 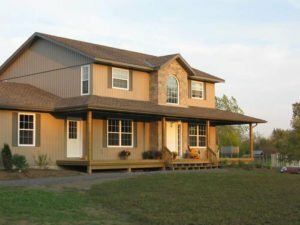 With an area population of fewer than 100,000, Belleville has all the conveniences of a large city with the security and comfort of a small city. 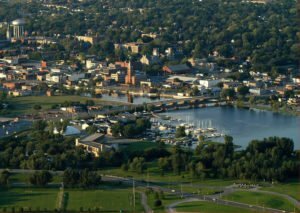 Belleville and the surrounding area is known as a destination for outdoor fun, including skiing, boating, fishing, hiking and camping. We have several museums, cultural organizations, shops, restaurants and a thriving arts community. 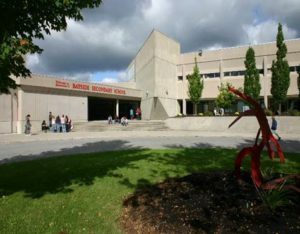 We are surrounded by numerous universities, such as University of Toronto, Queen’s University, University of Western Ontario and several community colleges. The climate is moderate with four distinct seasons. The average winter temperature is about -8 °Celsius and the average summer temperature is about 25 °Celsius. We welcome approximately 120 students to our schools each year from as many as 15 different countries. This provides our students an opportunity to learn about and develop an appreciation of other cultures. 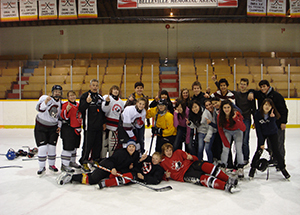 International students participate in a full range of courses and extra-curricular activities. Supports for students include tutorials, planned social activities, English as a Second Language courses, university preparation and regular visits from our homestay coordinator. 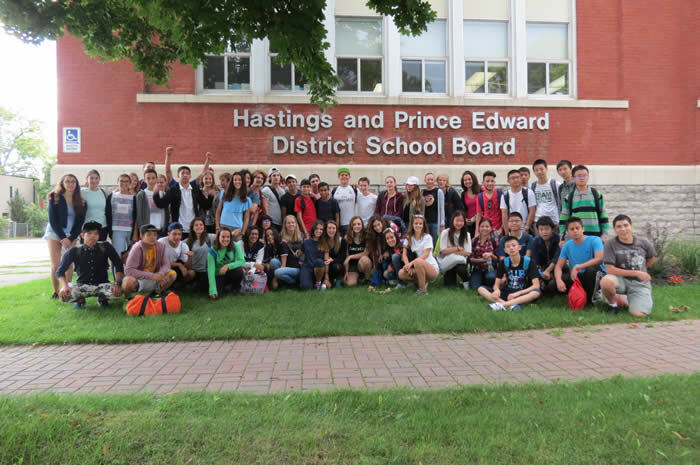 The Hastings and Prince Edward District School Board (HPEDSB) invites students from around the world to study with us. 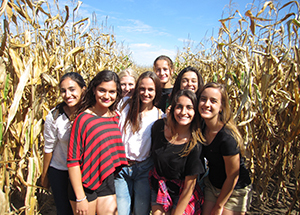 Our International Student Program offers qualified students, from Grades 7-12 the opportunity to study in Canada in a small beautiful city in southeastern Ontario. Students may begin their program either in February or September and study for a short period of five months, one year or until the completion of secondary school. 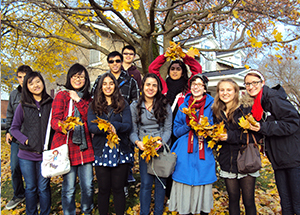 The International Student Program’s (ISP) core purpose is to provide a positive educational and cultural experience for international students and offer an opportunity for our Canadian students, teachers and local community to experience a diverse environment in which to learn about and develop an appreciation of other cultures. 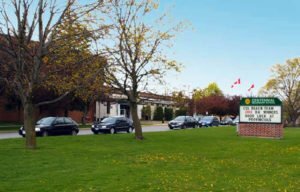 Hastings and Prince Edward District School Board serves approximately 15,100 students each day at 38 elementary and 8 secondary schools. 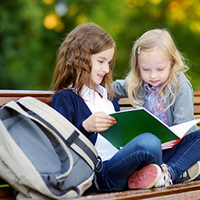 Supporting student achievement and well-being is the goal of approximately 1,800 teaching and support staff who, in addition to the contributions of caring volunteers and community partners, share their passion for teaching and learning. Our Vision is for all students to be prepared and empowered for the possibilities of today and tomorrow. Our Mission is to create dynamic inclusive educational experiences that develop capable confident learners, who thrive and contribute to their communities. The homestay environment is a critical part of the international student’s experience. 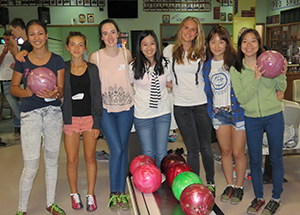 The HPEDSB International Student Program is proud to operate their own homestay program. Our Homestay Coordinators take great care to place international students with families that best match the needs of the student. Our next homestay information session is on Tuesday April 23 from 5-6pm at the Education Centre, 156 Ann Street – Please call 613-966-1170 ext. 62415 for details. Homestay Program fees are $800CAD per month. The first five months of fees plus a Homestay Placement Fee of $250CAD are invoiced with tuition and are due prior to arrival. Students are provided a private room, three meals daily (seven days a week) and access to laundry facilities. Queen’s University, University of Western Ontario and several community colleges. -8 °Celsius and the average summer temperature is about 25 °Celsius. Have you heard a Moira Minute on 91X FM? We acknowledge and honour the land on which we reside and occupy as part of the traditional territories of the Haudenosaunee and Anishinaabe people. These Indigenous Nations, agreed to mutual sharing obligations and responsibilities as stewards of the land and water. Today these responsibilities and obligations extend to all Peoples. These lands are steeped in rich Indigenous history, traditions and modern cultures that are proud and vibrant. The Hastings and Prince Edward District School Board supports and is committed to the holistic success of First Nations, Métis and Inuit students. It is the aim of the board to deliver culturally-appropriate education programs and services to support, all staff and students, academically and professionally to ensure the highest rate of success. All students succeed when the rich history, culture and diversity of our community is understood, respected and celebrated. Everyone has a role to play in ensuring success of First Nations Métis and Inuit students attending Hastings and Prince Edward schools. The local Mohawk and Anishinaabe communities, along with the Metis Nation of Ontario, are key partners in this work. To increase student achievement and well-being. I am a First Nations, Métis, Inuit Student. Parents and guardians of HPEDSB students are asked to voluntarily identify their school aged children as being part of Indigenous (First Nations, Métis or Inuit) heritage. The data collected is strictly confidential and is not shared. All data collected is treated in the same manner as Ontario Student Record Guidelines, according to the Education Act and Municipal Freedom of Information and Privacy Act. 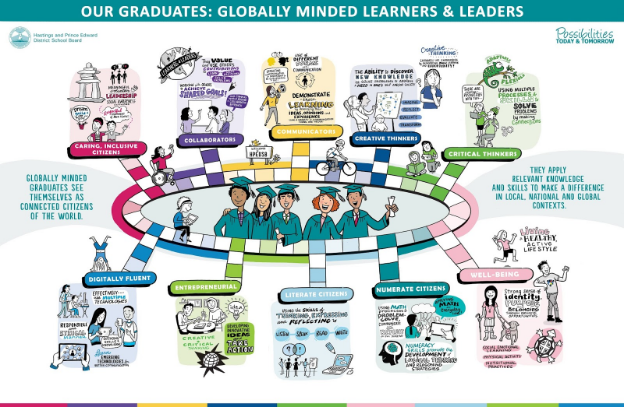 Globally minded graduates see themselves as connected citizens of the world. They apply relevant knowledge and skills to make a difference in local, national and global contexts. 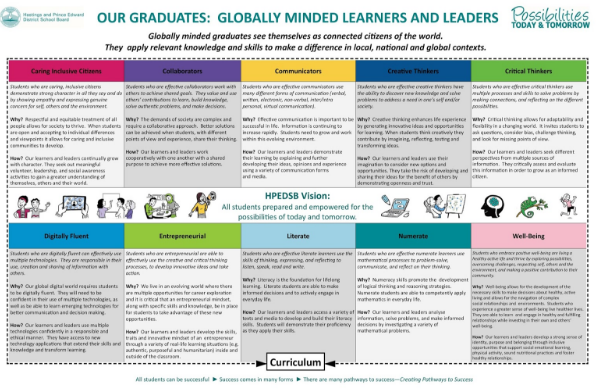 This document defines the Hastings and Prince Edward District School Board competencies that graduates develop from Kindergarten to Grade 12 to empower them in their future education as well as in their careers and lives. Visit The Virtual Learning Commons (VLE) for learning resources and tools. Involving students in their education at school and beyond is important to us. The Student Senate consists of 21 representatives, two students from each of our seven schools with secondary school students. They have leadership and advocacy experiences outside the classroom. 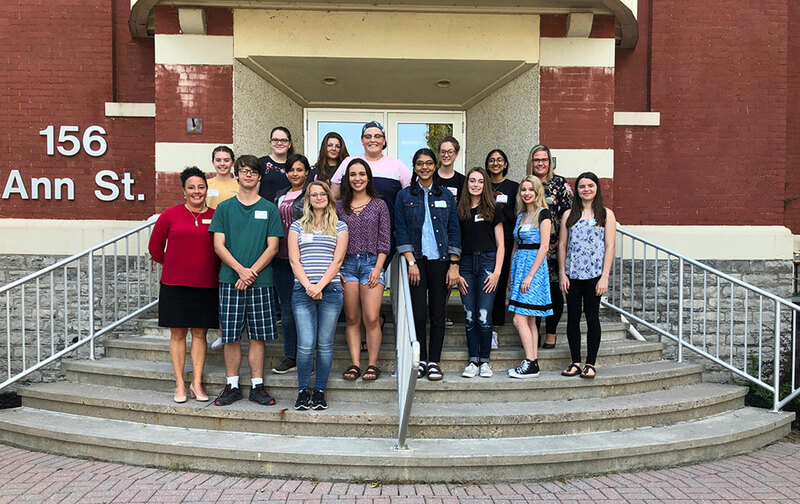 Pictured: Some of the 2018-2019 student senators from our seven schools with secondary school students with their teacher-advisors. Our Growing with Character approach to student social and emotional is another way we are building mentally healthy classrooms. We are further committed to the elimination of discrimination, as outlined in Ontario’s Ministry of Education Equity and Inclusive Education Strategy (Pdf), Equity Action Plan (2017) and the Human Rights Code for Ontario. Elementary and secondary students have participated in a student equity leadership forum facilitated by Harmony Movement, harmony.ca, leading diversity training organization in Ontario. This leadership opportunity aims to create more equitable and inclusive schools and communities. Using interactive games and activities, as well as examples from popular media, this training program introduces students to issues of equity, diversity and inclusion while developing their abilities to take leadership for social change. Ambassadors for Inclusion is for secondary school students. It is offered through a partnership between HPEDSB and Community Living Prince Edward clpe.on.ca. 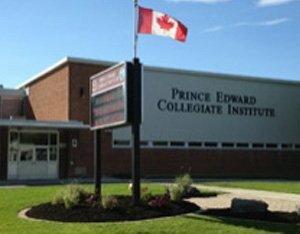 This program originated at Prince Edward Collegiate Institute and is now being expanded across the district. 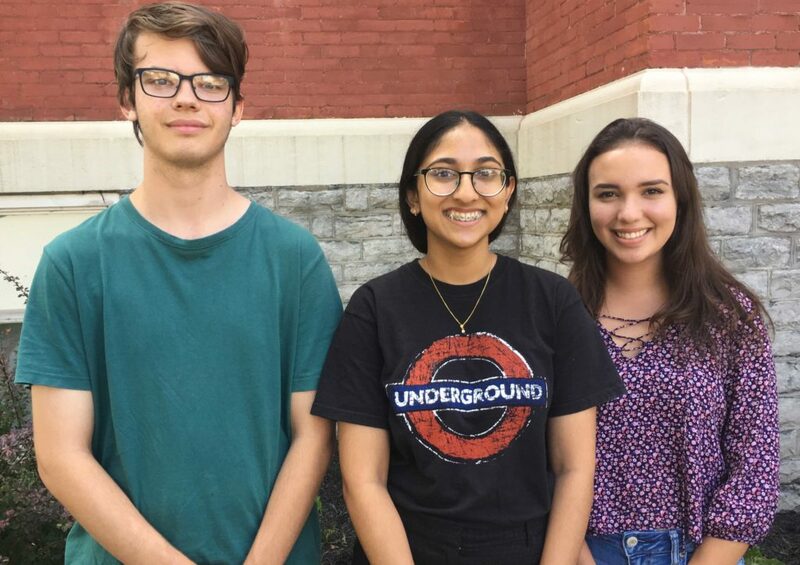 Using a train-the-trainer approach, student ambassadors promote an inclusive education experience for students with disabilities. 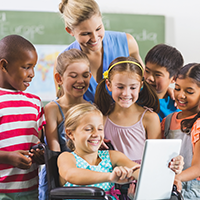 The Ambassadors for Inclusion Program, funded by the Ontario Trillium Foundation aligns with the Ministry of Education document Achieving Excellence: A Renewed Vision for Education in Ontario, as well as with the HPEDSB Well-Being priority. All employees and students have the right to a safe and healthy school environment. Many secondary schools have established GSAs within their school community. Our Equity and Inclusivity team is available to support schools in the creation of welcoming, safe, supportive and inclusive schools for the lesbian, gay, bisexual, trans, queer and questioning (LGBTQ+) community. The website, My GSA – Canada’s Safer Schools and Inclusive Education, mygsa.ca, provides support for the students for their gay-straight alliance or LGBTQ+ safer space group. 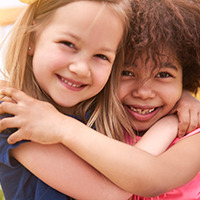 Growing with Character (GWC) is our intentional approach to provide learning opportunities that promote social and emotional learning in children. We do this by modeling, teaching and expecting demonstrations of various character traits, such as: caring, cooperation, honesty, humour, integrity, respect, responsibility and trustworthiness. 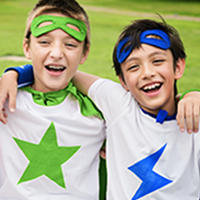 Growing with Character is also an intentional focus on creating safe, caring, respectful and inclusive learning environments where students develop foundation for good character. We demonstrate concern for self and others. We show empathy and express genuine concerns. We consider the long term effect of our actions. We work as a team for a common good. We value the opinions of others and show a willingness to work together towards a common goal. We choose to live truthfully. We communicate and act in a sincere and respectful way. We celebrate the fun in life. We lighten the emotions of others by interacting in a joyful manner. We do what is right for ourselves and others. We demonstrate values and ethics that are good for all. We speak directly, clearly, and respectfully. We value ourselves, others and our environment. We give consideration to the thoughts and actions of others. We treat others as we would want to be treated ourselves, with courtesy and dignity. We have a sense of duty to fulfill commitments. We take ownership for our own thoughts and actions. We are reliable and accountable in our words and actions. We can be counted on to do what is right. We instill confidence in one another through our actions. 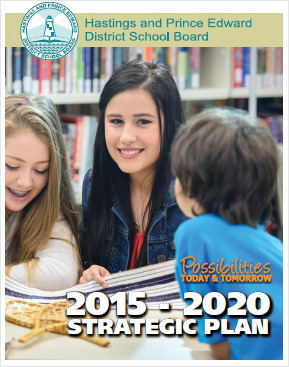 Our vision is All students prepared and empowered for the possibilities of today and tomorrow. To fulfill this vision, we create dynamic, inclusive educational experiences for the learner. At Hastings and Prince Edward District School Board (HPEDSB), we provide programs and services to help each student achieve success. It’s important to us to create learning spaces that meet the needs of all learners. Students in our schools have access to a wide variety of technology. Our educators and support staff inspire students to learn through meaningful, engaging experiences from Kindergarten to Grade 12.